Whew! Where does time go? I have no idea…if you find out, let me know!! We have been absorbed in end of school / end of soccer season / gardening and getting into summer and I have more and more things stacked up to share on the blog, so let’s get started. 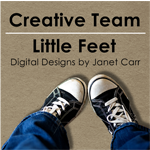 I’ve been doing a little scrapbooking lately and catching up with goodies from Little Feet Digital Designs . This is one of my favorite photos of me and the girls, from their first 4th of July waaaaay back in 2002…think they’d wear handmade matching patriotic dresses (with coordinating bloomers) for the festivities tomorrow? Me neither… Kit: America God Bless by Little Feet Digital Designs Template: my own design. Janet also has a swoon worthy offering that I am going to work with next…. I love love love these vintage images!! Scrapbook page? Print out the cards on heavy card stock and hang as a garland? Print out and use as labels as tags for summer potluck dishes? hmmm….maybe all of the above! Kit: King of my Heart by Little Feet Digital Designs Masks: Carina Gardner (can’t remember which ones) Template: my own design. My final layout share today is the layout that finishes up a class I took and LOVED at Big Picture Classes called Stashbusters Anonymous… super great ideas on how to use up your stash…both paper and digital. The assignment was to use multiple stamps and different color inks in a layout. I decided to do this layout digitally using digital stamps and recoloring each one. I’m really happy with the layout and super happy that I FINISHED a class!! 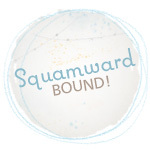 I also applied this one toward the “Inspired Scrapbooking” year-long class that I’m taking at BPC with Stacy Julian. Absolutely a fabulous class!! One of the great things about the Stashbusters class was there was a digital template for each challenge…added bonus! I used the template for the class, and Just Jaimee’s June 2014 Storyteller kit (love her stuff! ) with some elements from Jaimee’s other storyteller kits tossed in for fun. If you’re a digi-scrapper Just Jaimee’s kits are fabulous, and you can sign up for her email list and get super duper pricing on her kits. Totally worth it! Thanks for stopping by and checking out my work! I love memory keeping and sharing our stories! What projects have you been working on?! 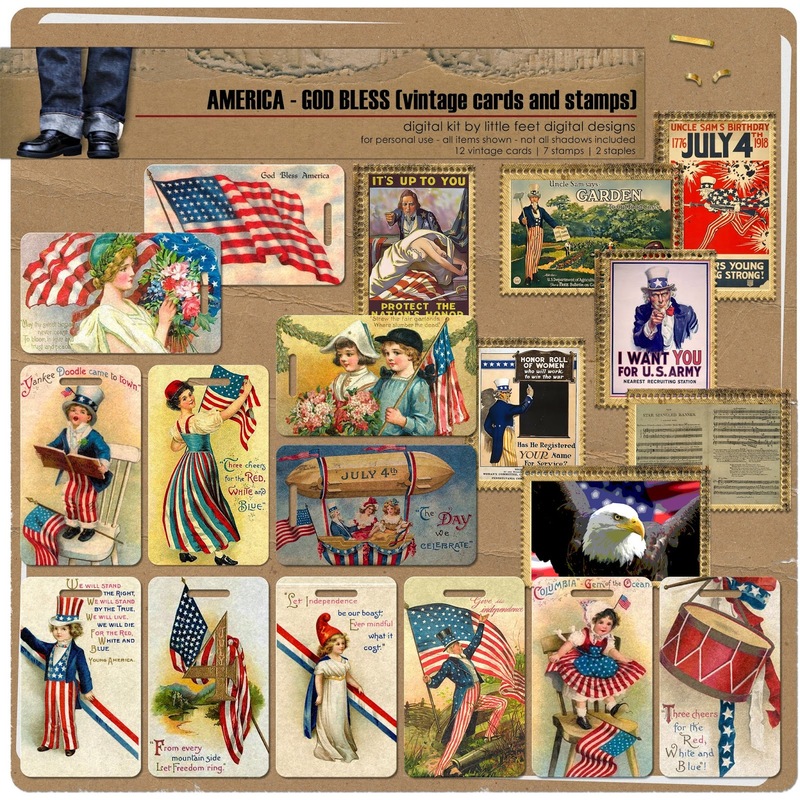 Golly, ALL of these are just stunning …Your vintage cards are so striking all together like this. You really have digital off to a T – very accomplished :).